After 9/11, you could choose your side. I had my side chosen for me. Adapted from the extraordinary novel by Mohsin Hamid and directed by the wonderful Mira Nair (Monsoon Wedding, Vanity Fair), this film should be compulsory viewing for everyone living in the 21st Century. A journalist (Liev Schreiber) interviews a suspected terrorist (Riz Ahmed) about how his life, his family and his current situation. Co-starring Kiefer Sutherland and Kate Hudson, this film is exciting, dramatic and hauntingly understandable. Ahmed is spectacular in his role as Changez, brilliantly capturing all the dimensions of a truly complex and intriguing character. Written by and starring the wonderful Jennifer Westfeldt (Friends With Kids, Ira & Abby) and Heather Juergensen. After a series of unfortunate dates, Jessica (Westfeldt) decides to explore her sexuality when she reads a personal ad that piques her interest. Unsure of where her preferences lie, she sets forth to meet Helen (Juergensen) and find out what she needs from a relationship. Sweet, awkward and funny, it explores the fluid nature of sexuality and what is required in a relationship without being crude, obvious or overtly sexual. Westfeldt is fantastic as the uncertain Jessica, playing perfectly of Juergensen’s sexually confident Helen. A fantastic feat of female filmmaking. Following the actions of a small group of women fighting for the right to vote in 1912. 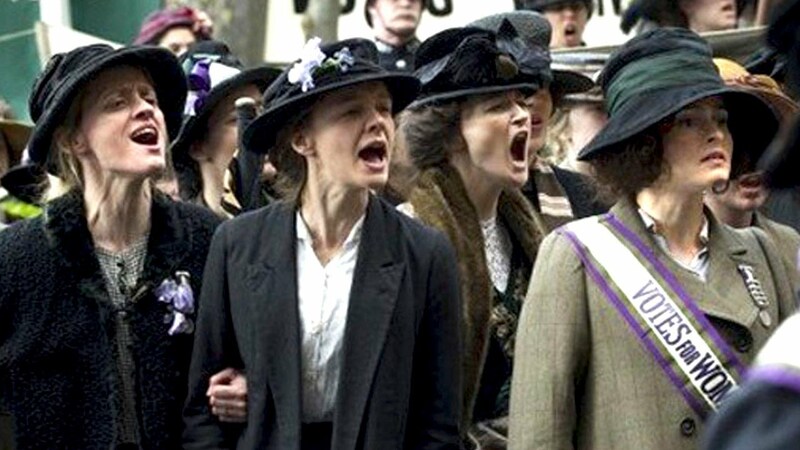 Focusing on Maud Watts (Carey Mulligan), it is based in history and does a wonderful job at documenting a time, a struggle and a political movement that changed the world. Co-starring Helena Bonham-Carter, Brendan Gleeson, Romola Garai, Ben Whishaw and Meryl Streep (among others), it was written by Sarah Gavron (Brick Lane) and directed by Abi Morgan (Shame, The Iron Lady). Deliberately visually unsteady and dirty, it delivers a glimpse of the past that moved me to tears. This is a beautiful romantic comedy that takes a step away from the Hollywood cliches and sets itself in a much more recognisable universe. Richard (John Hawkes) is a shoe salesman separating from the mother of his two sons (Miles Thompson, Brandon Ratcliff), when he meets quirky performance artist Christine (Miranda July). This is the first feature from writer, director and co-star July, who has since gone on to write and direct The Future. A really lovely and at some moments perfectly awkward film, that acknowledges and includes every single character in its delicate and intricate tapestry of human relationships. Calvin (Paul Dano) is a best-selling author going through writers block. Dreaming of the girl of his dreams, he begins writing about her, never imagining that she might step off the page and into his life. The first film written by and starring the hugely talented Zoe Kazan (In Your Eyes, What If), with a spectacular cast, it is a better version of (500) Days of Summer (2009), showing the dangers of creating an image of a women rather than getting to know the one that is right in front of you. It is beautiful, magical, terrifying and above all truly heart-felt. Currently available on Netflix, this such an underrated film. Imogene (Kristen Wiig), a failing playwright, moves back in with her mother (Annette Bening), younger brother (Christopher Fitzgerald) in New Jersey after her career and relationship end up on the rocks. Darren Criss and Matt Dillon are wonderful as the two strange men who are also living under her mother’s roof. This film is an emotionally-tangled subtle masterpiece. It’s funny, quirky and moving. While everyone involved is fantastic, Wiig and Criss are a delight, but Dillon steals the show, with a performance I am talking about months after first seeing it. In 2010, Dawn Brancheau, a senior trainer at SeaWorld, died in an orca tank. Her body was recovered drowned, scalped and dismembered. This is the first documentary written and directed by Gabriela Cowperthwaite, and examines the true cost of orca captivity. Focusing on the actions of SeaWorld, much of the narrative is built around Tilikum, SeaWorld’s infamous bull orca who is known to be responsible for two trainer deaths. Complete with interviews with previous trainers at SeaWorld, as well as experts in natural orca behaviour and eye-witnesses, archive footage and courtroom transcripts, they construct an argument almost impossible to argue with. This is more than your average rom com. Amy (Amy Schumer) is a commitment-phobe, hopping from one night stand to one night stand until her magazine sends her to write an article about sports doctor Aaron (Bill Hader). Written by the wonderful Schumer and directed by Judd Apatow (Knocked Up, The 40 Year Old Virgin), this has some comedy heavy-weights behind it as well as some extraordinary cameos. Schumer and Hader are spectacular as the leads and, despite Tilda Swinton’s truly unusual English accent, the supporting cast are superb. Funny, moving, awkward and almost always unexpected, it is an absolute treat.